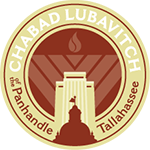 Chabad Lubavitch of the Panhandle-Tallahassee & Chabad at Florida State University is happy to provide a high quality, full color, Jewish Holiday Journal to the community. Published five times a year, the Jewish Holiday Journal is mailed to thousands of readers from all over the Florida Panhandle and South Georgia region. 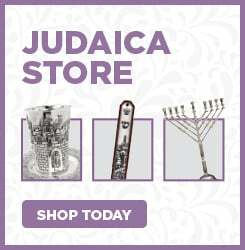 The Jewish Holiday Journal includes news of Jewish communities around the world, information about the Holidays, articles from great Jewish writers around the world, many recipes pertinent to the Holidays, and more. We ask you to please join us in our effort, especially in these trying times, to raise the much needed funds to support and expand our wide array of educational and community programs that touch thousands of students, children, and adults in Tallahassee & the Panhandle. We invite you to join us by placing an ad or greeting in our Chanukah Journal (published December 2016). The journal will be distributed to over 2,500 households and businesses in the Florida Panhandle and South Georgia region, and will be distributed to hundreds of students at FSU. Your donation has a fixed cost but the exposure, the name recognition and the good will that your generous and tax deductible donation will generate, is priceless.